Dr. Radwan’s research interests include isolation and structure elucidation of biologically active metabolites from plant, fungi and marine sources, as well as marijuana research. 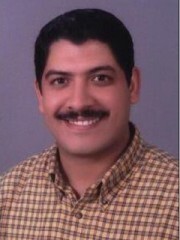 To view Dr. Radwan’s publications, visit http://www.ncbi.nlm.nih.gov/pubmed/?term=Mohamed+M.+Radwan. To view Dr. Radwan’s CV, click here.